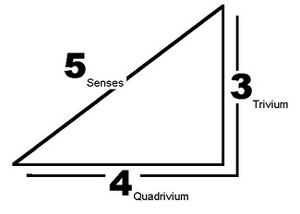 The Trivium method: (pertains to mind) – the elementary three. General Grammar, Aristotelian Logic, and Classical Rhetoric comprise the first three rules-based subjects of the 7 Liberal Arts and Sciences. As these disciplines are learned and practiced together, they form the overarching, symbiotic system for establishing clarity and consistency of personal thought called the Trivium. 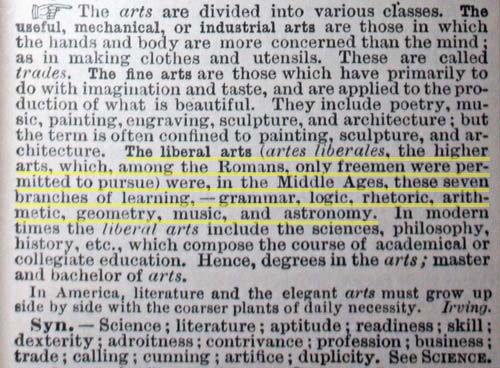 “Art” – Webster’s International Dictionary, 1893.